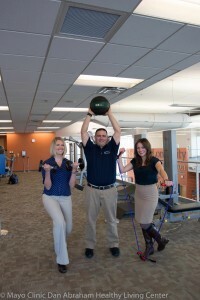 If you are looking for motivation to get fit as a Mayo employee, look no further than this dynamic group! Kaisa, Linde and Nicole are here to guide you and offer a multitude of resources to add activity and wellness initiatives into your daily worklife. Share your passion for wellness with your work unit by becoming a Wellness Champion. Come join us!